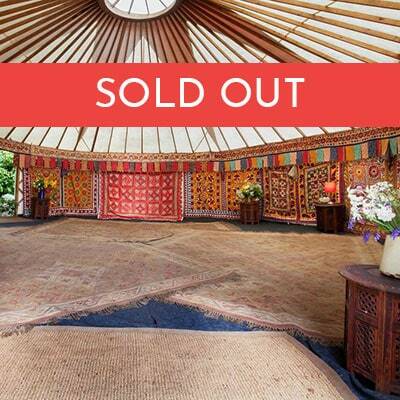 A furnished yurt complete with everything you need for a long weekend away. 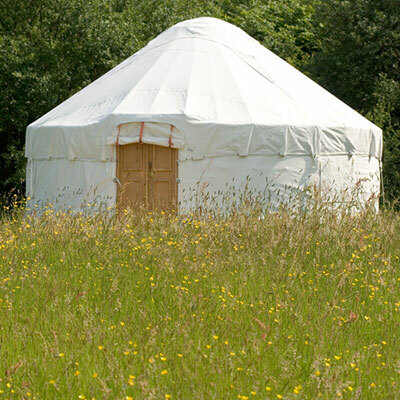 The larger yurts offer luxury lodgings for up to 4 guests. They come complete with groundsheet, liner and matting. They are fully furnished with free standing beds, white linen, duvet, pillows and towels as well as cotton/wool rugs, low tables and scatter cushions. Benefits include full lighting and internal power suitable for charging a phone. 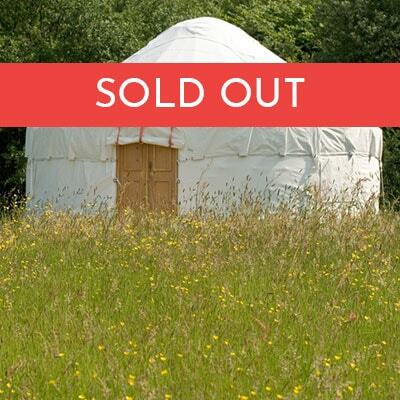 You of course will have access to the luxury loos, showers, catering, bar and site facilities. There will be parking provided in the next door field for one car.